Goldfish crackers in these varieties that are packaged in bags, snack packs, and cartons are affected by the recall. 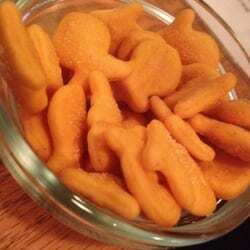 Pepperidge Farm Goldfish crackers are sold throughout the US. No illnesses have yet been reported, but these crackers have the potential for being contaminated with salmonella which can cause serious gastrointestinal symptoms. The United States Department of Agriculture Food Safety and Inspection Service (USDA – FSIS) has issued a public health alert for products that contain the potentially contaminated whey powder. The whey product, regulated by the Food and Drug Administration (FDA), is being voluntarily recalled by the producer, Associated Milk Producers, Inc. (AMPI). Additional FSIS-regulated products containing the recalled whey powder may be added to this public health alert as more information becomes available. If you have purchased any of these Pepperidge Farms Goldfish products, do not eat them. For more information about your legal rights if you have become ill from eating one of the recalled products, contact the food poisoning lawyers at 1-888-335-4901.